First thing I noticed when looking at these cards was the Swords Two being very present in this spread. Since I know this client very well there suddenly manifested a whole story seeing this past life. 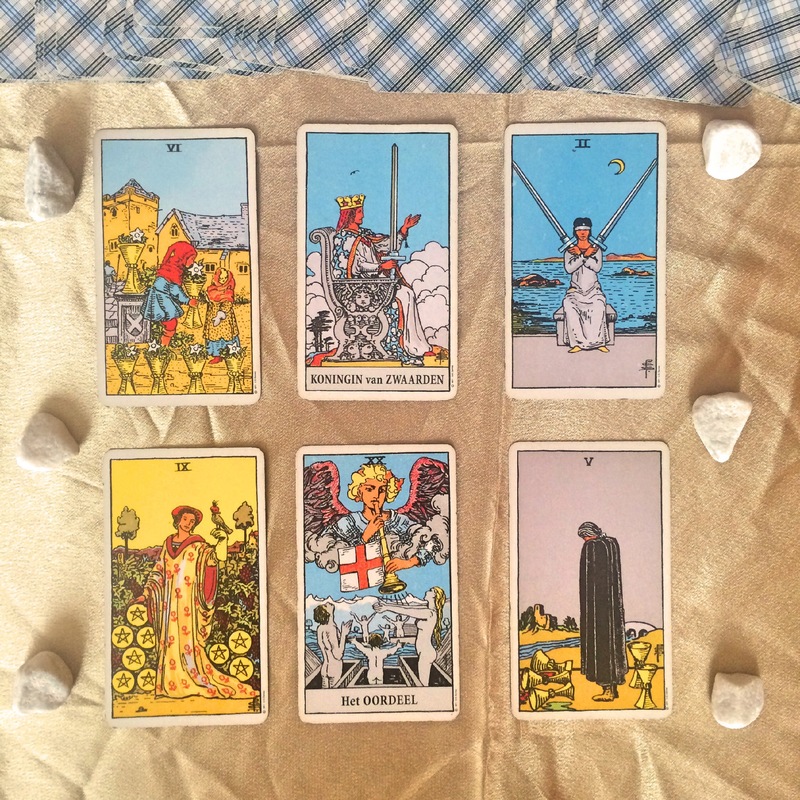 After a while starring at the cards, totally clueless, it became clear that this spread much had to do with the choice of spouse. In this past life the client started out with a very carefree youth which resulted in a very independent adult life. A life of always knowing how to solve and handle things suddenly makes place for a unexpected moment of a period of making important choices. 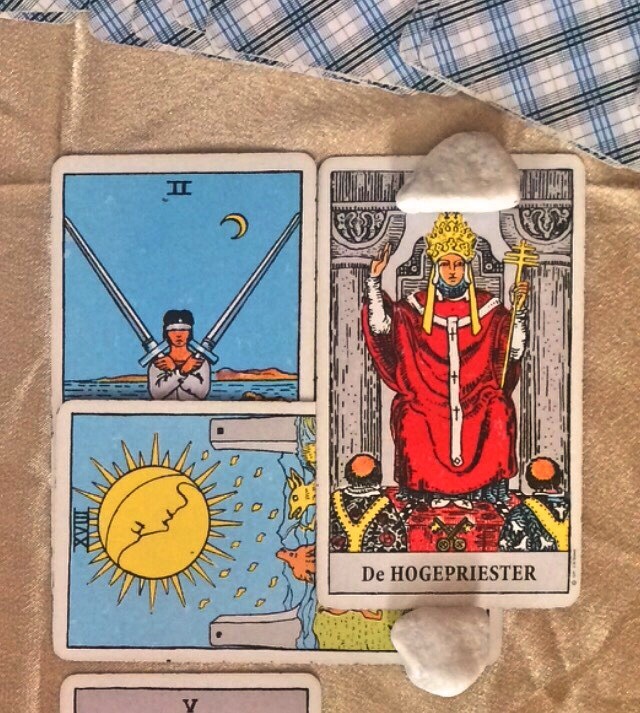 Since I found it very hard to conclude what the choice should be all about; I decided (as I often do with the Swords2) taking another 2 cards. The Moon and Highpriestess which are both very important Major Arcana cards. Often these cards will be there in your life for a longer while to deal with. I think that (see previous post) there took a marriage place with a rich person that looked as a good idea at the time, but really was one big illusion. Although this person in the past life had all luxury available and could live a life everybody is dreaming of, it made this person think about whether this was the right decision. I think though that during the rest of this past life this person didn’t change a lot about it other than rethinking the whole thing and feeling miserable under the circumstances. In clients present life the same issue is still going on by not exactly knowing when the companion will be the right one. I think sometimes we just have to wait until we know by heart if it’s the right person.